Over the course of his career, Andrew Rainer has served as an Assistant Attorney General, as an Assistant District Attorney, as Counsel to the United States Senate Judiciary Committee, and as an active trial lawyer. He is an AV-rated lawyer who has served as lead counsel in dozens of jury trials, and has helped craft numerous multimillion-dollar settlements. Mr. Rainer brought the first whistleblower suit against a government contractor for fraud on Boston's Big Dig, helping the federal and state governments recover almost $50 million. He has over 25 years of experience representing companies, government entities, and individuals in environmental and public health litigation. representing property owners and municipalities in environmental and public health litigation. As a private lawyer, Mr. Rainer began one of the first cases ever brought under the Massachusetts False Claims Act. As an Assistant Attorney General, he also personally investigated, prosecuted, and resolved numerous False Claims Act cases. Mr. Rainer has worked one-on-one with most of the federal and state attorneys in Massachusetts who review whistleblower cases, and is in an ideal position to help a client who has information about fraud on the government to navigate the false claims process and recover a substantial reward. Mr. Rainer is available to help other clients who know about fraud by government contractors to blow the whistle and to recover a reward of up to 30% of the amount of the fraud. He can also help get rewards for clients who know about federal tax fraud of over $2 million, and employees of publicly-traded companies who discover fraud at their companies. From February 2008 to June 2014, Mr. Rainer served as Chief of the Massachusetts Environmental Strike Force, a cooperative effort of the Massachusetts Attorney General's Office, the Massachusetts Department of Environmental Protection, and Executive Office of Energy and Environmental Affairs, designed to investigate and prosecute the most serious environmental violations. At the Strike Force, Mr. Rainer worked closely with most of the state and federal officials in Massachusetts who enforce the environmental laws, and is therefore well positioned to help a client respond to and resolve environmental enforcement matters. Mr. Rainer graduated from Princeton University, with honors, in 1979, and obtained his J.D. from New York University Law School in 1982. During law school, Mr. Rainer served as a senior editor of the NYU Law Review, and after graduation served as a law clerk to the Honorable Charles R. Richey of the United States District Court for the District of Columbia. Mr. Rainer began his practice in 1983 as an associate with the law firm of Goodwin Procter & Hoar in Boston, where he worked in various aspects of the firm's corporate, bankruptcy and litigation practice. Between 1986 and 1989, Mr. Rainer served as Minority Counsel and then as Counsel to the United States Senate Judiciary Committee in Washington, DC. For the Committee, he worked on legislation involving moneylaundering, forfeiture, and financial privacy, and also assisted in the investigation of nominees to the Supreme Court and the lower federal courts. In 1989, Mr. Rainer joined the Boston firm of Shapiro Haber & Urmy, LLP, where he developed a substantial practice representing clients in business, consumer, environmental and civil rights cases. Mr. Rainer obtained a series of multi-million dollar settlements in complex commercial fraud cases, in which he represented parties that had been defrauded. He also represented homeowners whose properties had been contaminated in cases involving the Department of Defense, General Electric Company, and several other major corporations. Working together with co-counsel and the Lawyers Committee for Civil Rights, he also assisted in securing a $16 million settlement of a major race discrimination class action. In 2000, Mr. Rainer became an Assistant District Attorney in the office of Middlesex District Attorney Martha Coakley, where he was given responsibility for developing and prosecuting white collar criminal cases, including credit card fraud, insurance fraud, forgery, embezzlement, and perjury. He served as trial counsel in over twenty jury trials, as well as handling indictments, arraignments, and evidentiary motions in the trial courts of Middlesex County. In 2002, he was honored as Prosecutor of the Year by the International Association of Financial Crime Investigators. In 2004, Mr. Rainer joined with Mark Roberts and Randy McRoberts to form the firm of McRoberts, Roberts & Rainer, LLP. His practice at the firm ran a broad range of environmental and litigation matters, including large scale corporate and commercial fraud cases, breach of fiduciary duty suits, Superfund cases, and toxic tort litigation. Working together with lawyers in five other states, Mr. Rainer helped negotiate a settlement with 12 soft drink manufacturers to reformulate their products to avoid the formation of benzene, a known carcinogen. In 2007, he was named a Massachusetts Superlawyer, in part for bringing the first whistleblower suit against a contractor for fraud of Boston's Big Dig, and helping the state and federal governments to recover almost $50 million. At the beginning of 2008, Mr. Rainer was appointed by Attorney General Coakley to serve as Chief of the Massachusetts Environmental Strike Force, a cooperative prosecution effort of the Attorney General's Office, the Massachusetts Department of Environmental Protection, and the Secretary of Energy and Environmental Affairs, designed to crack down on criminal polluters. He held that position from 2008 through 2014, during which time he led the state's prosecution in the case of Commonwealth v. Springfield Terminal Railways, which resulted in the largest criminal fine after trial in an environmental prosecution in Massachusetts, and was also chief counsel for the Commonweatlh in crafting a $7.5 million settlement in the case of Commonwealth v. Wheelabrator Technologies, Inc. In addition to being named Prosecutor of the Year by the International Association of Financial Crime Investigators, Mr. Rainer has been named Lawyer of the Year by the Frank J. Murray Inn of Court. 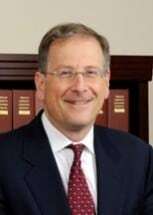 He has been listed as a Massachusetts "Super Lawyer," and has received an AV rating from Martindale-Hubbell, a certification indicating that his peers rank him at the highest levels of professional excellence for both skills and ethics. Speaker, California District Attorneys Association (June 2013), gave presentation on Commonwealth v. Springfield Terminal Railway Co.
Speaker, Western States Enforcement Project (April 2012), gave presentation on Commonwealth v. Springfield Terminal Railway Co.
Speaker, ABA-New England Environmental Law Developments (Sept. 2011), discussed incinerator case, Commonwealth v. Wheelabrator Saugus, Inc. and Appeals Court ruling in Commonwealth v. Springfield Terminal Railway Co. He is a co-author with Judge Peter Lauriat, Elaine McChesney and William Gordon of Discovery, Volume 49 of the Massachusetts Practice series. He also authored and regularly updates a chapter of MCLE Deposition Manual. He has contributed to Massachusetts Lawyers Weekly and to the Boston Bar Journal. Mr. Rainer has also served on the board of a number of local civil rights organizations. He was on the board of the Lawyers Committee for Civil Rights and Economic Justice from 1996 to 2007, and served as Secretary of the board from 1999 to 2003. He was on the board of the Massachusetts Immigrant and Refugee Advocacy Coalitiion from 1999 to 2006, and served as President of the board from 2004 to 2006. He was also a member of the Governor's Advisory Commission on Refugees and Immigrants from 1991 to 1997, and served as its Chair from 1995 to 1997.